Remember Pride and Prejudice and Zombies? No? We won’t blame you if you’ve forgotten about this one. Filmmakers have been trying to bring the Seth Grahame-Smith novel to the big screen for a while now and unfortunately, every attempt has failed. Directors like David O. Russell, Mike White and Craig Gillespie have all made valiant efforts to get this thing off the ground at Lionsgate but no one has succeeded. Actresses like Natalie Portman, Emma Stone and Anne Hathaway have all flirted with the project as well but of course, nothing has panned out. 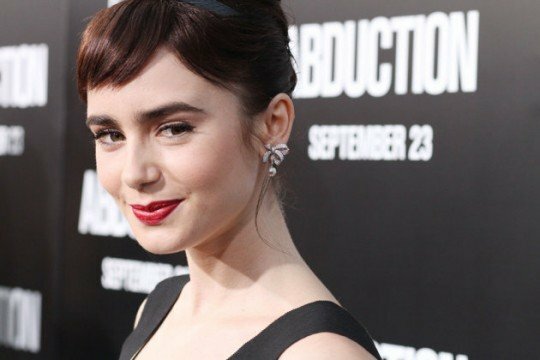 Now, Variety is telling us that Lily Collins, a still relatively unknown actress (despite some decent sized roles) will be starring in the film. Collins is probably best known for The Blind Side or Mirror Mirror and she also has a starring role in this Summer’s Mortal Instruments: City of Bones. Like we said, her profile is still pretty low, so we won’t fault you if you’re unfamiliar with her. Speaking of unfamiliar, set to direct is Burr Steers. You know, the guy who directed 17 Again and Charlie St. Cloud, that guy. No? Still not registering. Ok, fair enough. We know. Sturr/Collins is a far cry from the Russell/Portman version of the film that we almost got but who knows, this one still may turn out ok.
After all, Russell’s script is still being used, for now, and the source material is pretty good. Then again, the last film based on one of Seth Grahame-Smith’s novels, Abraham Lincoln: Vampire Hunter, bombed pretty hard. So who knows? Maybe Pride and Prejudice and Zombies will suffer the same fate. What do you think? Do you want to see Lily Collins star in Pride and Prejudice and Zombies? Does anyone even care about this film anymore? Let us know in the comments below.